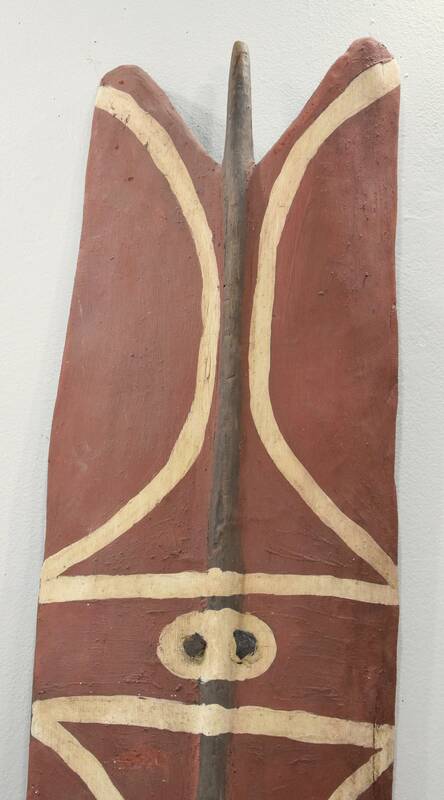 This is a beautiful Mendi War Shield from the Mendi Valley in the Southern Highlands of Papua New Guinea from the 1980's. This region of the Highlands was still considered 'uncontrolled' in the 1950's and, in some regions, into the 1960's, and until recent times tribal fighting has been part of day to day life. 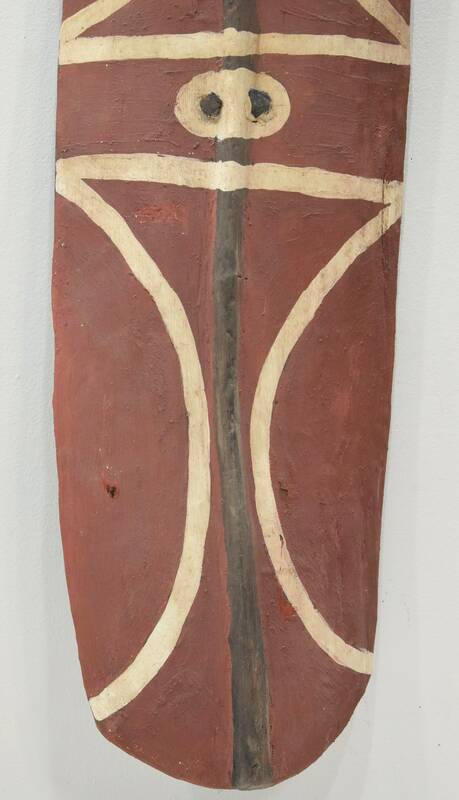 Shields were generally painted in abstract designs with bold bright colors and clan symbols, as well as in some shields a human figure can be seen. Shields of this type were used by bowmen. The colored designs are painted in preparation for war, and magic spells are recited during the painting process to imbue the shield with protective power. Red is often used; it is the color of victory. This is an amazing shield with rich coloring and designs. It has a handle on the back. This would be a wonderful addition to your collection.